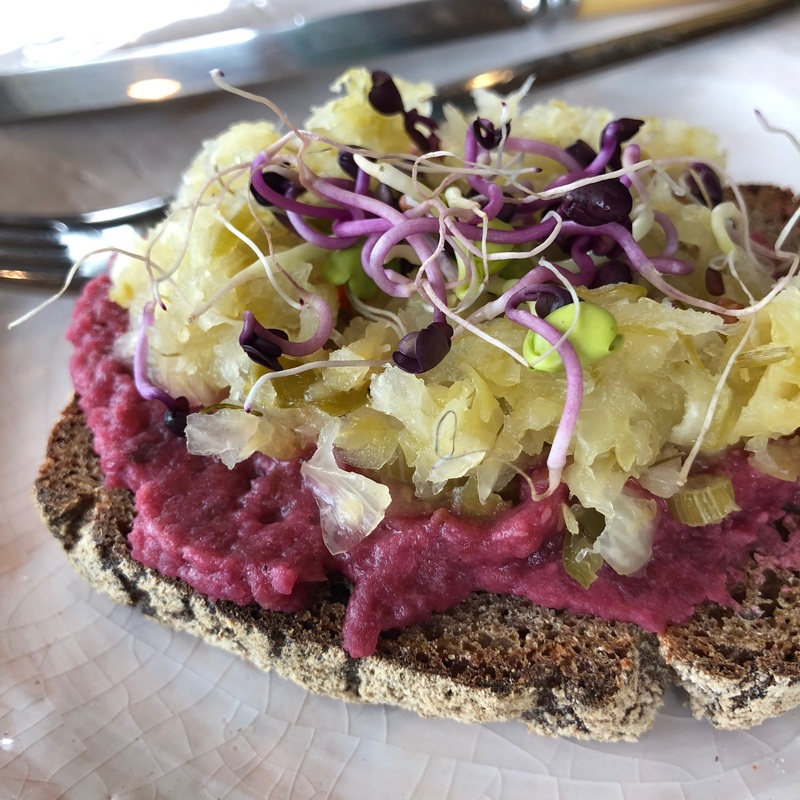 If you’re in need of a lively hummus replacement try our Elixir Pickled Beetroot Bean Spread. Add half a cup Elixir Salad Dressing to cooked or canned beans (any kind will do, chickpeas too) with our Beetroot Pickle for a heavenly toast topping or veggie dip. I use Pinto beans for their creamy texture and beautiful pink colour. This spread will last up to 4 days in the fridge in an airtight container or jar. Extremely tasty with spicy sprouts and Esther’s Chilli and Fennel Kraut on toast. If you’re using dry beans, soak overnight and cook in salted water until soft. Rinse with cold water in your colander or sieve and drain well. Canned beans also benefit from a good rinse. Add beans to your food processor along with the rest of the ingredients and process until you have a lovely, spreadable consistency. Season to taste and add a squeeze of lemon juice or pinch of cayenne pepper if you’d like more of a kick.